The increase in the consumption of animal products is likely to put further pressure on the world’s freshwater resources. This paper provides a comprehensive account of the water footprint of animal products, considering different production systems and feed composition per animal type and country. Nearly one-third of the total water footprint of agriculture in the world is related to the production of animal products. The water footprint of any animal product is larger than the water footprint of crop products with equivalent nutritional value. The average water footprint per calorie for beef is 20 times larger than for cereals and starchy roots. The water footprint per gram of protein for milk, eggs and chicken meat is 1.5 times larger than for pulses. The unfavorable feed conversion efficiency for animal products is largely responsible for the relatively large water footprint of animal products compared to the crop products. Animal products from industrial systems generally consume and pollute more ground- and surface-water resources than animal products from grazing or mixed systems. The rising global meat consumption and the intensification of animal production systems will put further pressure on the global freshwater resources in the coming decades. 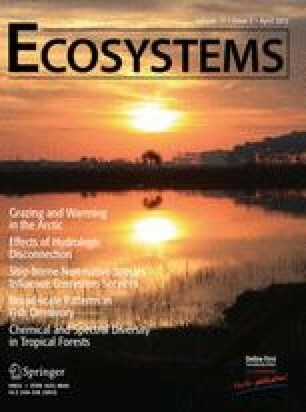 The study shows that from a freshwater perspective, animal products from grazing systems have a smaller blue and grey water footprint than products from industrial systems, and that it is more water-efficient to obtain calories, protein and fat through crop products than animal products. The online version of this article (doi: 10.1007/s10021-011-9517-8) contains supplementary material which is available to authorized users. MMM designed the study, performed research, analysed data and wrote the paper; AYH designed the study, contributed new methods, analysed data and wrote the paper. Global meat production has almost doubled in the period 1980–2004 (FAO 2005) and this upward trend will continue given the projected doubling of meat production in the period 2000–2050 (Steinfeld and others 2006). To meet the rising demand for animal products, the on-going shift from traditional extensive and mixed to industrial farming systems is likely to continue (Bouwman and others 2005; Naylor and others 2005; Galloway and others 2007). There is a rich literature on the expected environmental consequences of increased consumption of animal products (Naylor and others 2005; Myers and Kent 2003; McAlpine and others 2009; Pelletier and Tyedmers 2010; Sutton and others 2011), and on the pros and cons of industrial versus conventional farming systems (Lewis and others 1990; Capper and others 2009). Specific fields of interest include, amongst others, animal welfare (Fraser 2008; Thompson 2008), excessive use of antibiotics (Gustafson and Bowen 1997; Witte 1998; Smith and others 2002; McEwen 2006), the demand for scarce lands to produce the required feed (Naylor and others 2005; Keyzer and others 2005; Nepstad and others 2006) and the contribution of livestock to the emission of greenhouse gases (Pelletier and Tyedmers 2010; Tilman and others 2001; Bouwman and others 2011). Although it is known that animal products are very water-intensive (Pimentel and others 2004; Chapagain and Hoekstra 2003), little attention has been paid thus far to the total impact of the livestock sector on the global demand for freshwater resources. Most of the water use along the supply chain of animal products takes place in the growing of feed. As a result of the increasing global trade in feed crops and animal products and the growth of meat preservation over longer periods, consumers of animal products have often become spatially disconnected from the processes necessary to produce the products, so that the link between animal products and freshwater consumption is not well known (Naylor and others 2005; Hoekstra 2010; Hoekstra and Chapagain 2008). There are earlier publications on the water use behind animal production (Steinfeld and others 2006; Galloway and others 2007; Pimentel and others 2004; Chapagain and Hoekstra 2003, 2004; De Fraiture and others 2007; Peden and others 2007; Van Breugel and others 2010; Renault and Wallender 2000), but a detailed comprehensive global assessment was lacking. The objective of the current paper is to provide such an assessment by quantifying the water footprint of farm animals and of the various derived animal products per country and per animal production system. The period of analysis was 1996–2005. The water footprint of a product consists of three colour-coded components: the green, blue and grey water footprint (Hoekstra and Chapagain 2008). The blue water footprint refers to the volume of surface and groundwater consumed (that is evaporated after withdrawal) as a result of the production of the product; the green water footprint refers to the rainwater consumed. The grey water footprint refers to the volume of freshwater that is required to assimilate the load of pollutants based on existing ambient water quality standards. Water footprint calculations have been based on the recently established global water footprint standard (Hoekstra and others 2011), which was developed based on earlier water footprint studies (see for example, Chapagain and others 2006; Hoekstra and Chapagain 2007; Gerbens-Leenes and others 2009; Aldaya and others 2010). With the exception of Chapagain and Hoekstra (2003, 2004), no previous study has estimated the water footprint of animal products by product and country at a global level. Although Chapagain and Hoekstra (2003, 2004) were able to estimate the water footprint of farm animals and animal products per country, they have made very crude assumptions regarding the composition and amount of feed consumed by different animals. Besides, the water footprints of feed crops were estimated based on national average climatic data. The main differences with Chapagain and Hoekstra (2003, 2004) are: (1) we estimated the amount of feed consumed per animal category, per production system and per country based on estimates of feed conversion efficiencies and statistics on the annual production of animal products, (2) we took into consideration the relative occurrence of the three production systems (grazing, mixed and industrial) in each country and (3) we estimated the green, blue and grey water footprints of growing feed crops using a grid-based dynamic water balance model that takes into account local climate, soil conditions and data on irrigation at a high spatial resolution. We follow the water footprint definitions and methodology as set out in Hoekstra and others (2011). The blue water footprint refers to consumption of blue water resources (surface and groundwater) along the supply chain of a product. ‘Consumption’ refers to loss of water from the available ground-surface water body in a catchment area. Losses occur when water evaporates, returns to another catchment area or the sea or is incorporated into a product. The green water footprint refers to consumption of green water resources (rainwater in so far as it does not become runoff). The grey water footprint refers to pollution and is defined as the volume of freshwater that is required to assimilate the load of pollutants given natural background concentrations and existing ambient water quality standards. We consider eight farm animal categories: beef and dairy cattle, pigs, sheep, goats, broiler and layer chickens, and horses. When estimating total feed amounts and total water footprints per category, we include ‘buffaloes’ in the category of ‘beef cattle’ and ‘asses and mules’ in the category of ‘horses’. where WFfeed[a,c,s], WFdrink[a,c,s] and WFserv[a,c,s] represent the water footprint of an animal for animal category a in country c in production systems s related to feed, drinking water and service-water consumption, respectively. Service water refers to the water used to clean the farmyard, wash the animal and carry out other services necessary to maintain the environment. The water footprint of an animal and its three components can be expressed in terms of m3/y/animal, or, when summed over the lifetime of the animal, in terms of m3/animal. For beef cattle, pigs, sheep, goats and broiler chickens—animals that provide their products after they have been slaughtered—it is most useful to look at the water footprint of the animal at the end of its lifetime, because it is this total that will be allocated to the various products (for example, meat, leather). For dairy cattle and layer chickens, it is most straightforward to look at the water footprint of the animal per year (averaged over its lifetime), because one can easily relate this annual animal water footprint to its average annual production (milk, eggs). Feed[a,c,s,p] represents the annual amount of feed ingredient p consumed by animal category a in country c and production system s (ton/y), WF prod * [p] the water footprint of feed ingredient p (m3/ton), WFmixing[a,c,s] the volume of water consumed for mixing the feed for animal category a in country c and production system s (m3/y/animal) and Pop*[a,c,s] the number of slaughtered animals per year or the number of milk or egg producing animals in a year for animal category a in country c and production system s.
in which P[p] is the production quantity of feed product p in a country (ton/y), T i [n e ,p] the imported quantity of feed product p from exporting nation n e (ton/y), WFprod[p] the water footprint of feed product p when produced in the nation considered (m3/ton) and WFprod[n e ,p] the water footprint of feed product p as in the exporting nation n e (m3/ton). The water footprint of crop residues such as bran, straw, chaff and leaves and tops from sugar beet have already been accounted for in the main product, therefore their water footprint was set equal to zero. The volume and composition of the feed consumed vary depending on the type of animal, the production system and the country. The amount of feed consumed is estimated following the approach of Hendy and others (1995), in which the total annual feed consumption (including both concentrates and roughages) is calculated based on annual production of animal products and feed conversion efficiencies. Only for horses we have used the approach as in Chapagain and Hoekstra (2003), which means that we multiplied the estimated feed consumption per animal by the number of animals, thus arriving at an estimate of the total feed consumed by horses. where Feed[a,c,s] is the total amount of feed consumed by animal category a (ton/y) in country c and production system s, FCE[a,c,s] the feed conversion efficiency (kg dry mass of feed/kg of product) for animal category a in country c and production system s, and P[a,c,s] the total amount of product (meat, milk or egg) produced by animal category a (ton/y) in country c and production system s. The estimated global amount of feed consumption per animal category and world region is presented in Appendix II (Supplementary material). Feed consumption per production system is shown in Appendix III (Supplementary material). in which P[a,c,s] is the total annual production of beef, milk, sheep meat or goat meat in country c in production system s (kg/y) and Pop[a,c,s] the total population of beef cattle, dairy cattle, sheep or goats in that country and production system. Region-specific feed conversion efficiencies are presented in Appendix I (Supplementary material). where Pop[a,c,s] is the population of animal category a in country c for production system s and OR[a,c,s] the off-take rate, which is the fraction of the animal population that is taken out in a given year for slaughter (dimensionless). where P milk[a,c,s] and P egg[a,c,s] represent production of milk and egg in country c and production system s, respectively (ton/y), MY[a,c,s] milk yield per dairy cow in country c and production system s (ton/dairy cow), DC[a,c,s] the number of dairy cows in country c and production system s, f egg[a,c,s] the fraction of egg produced in country c and production system s and P egg[a,c] the total amount of egg produced in country c (ton/y). where Concentrate[a,c,s] is the volume of concentrate feed consumed by animal category a in country c and production system s (ton/y) and f c [a,c,s] the fraction of concentrate in the total feed for animal category a in country c and production system s. For the latter variable, data have been obtained from Bouwman and others (2005) and Hendy and others (1995). The composition of concentrate feeds varies across animal species and regions of the world. To our knowledge, there are no datasets with global coverage on the composition of feed for the different animals per country. Therefore, we have made a number of assumptions concerning the concentrate feed composition of the different animal species. According to Hendy and others (1995), the diets of pigs and poultry include, on average, 50–60% cereals, 10–20% oil meals and 15–25% ‘other concentrates’ (grain substitutes, milling by-products, non-conventional concentrates). Wheeler and others (1981) provide the feed composition in terms of major crop categories for the different animal categories. We have used these and other sources in combination with FAOSTAT country average concentrate feed values for the period 1996–2003 (FAO 2009) to estimate the diet composition of the different animal species. To estimate the feed in terms of specific crops per animal, we first estimated the feed in terms of major crop categories following Wheeler and others (1981). The feed in terms of major crop categories is further distributed to each crop proportional to the crop’s share in its crops category as obtained from FAO (2009). The roughage feed is divided into fodder, grass and crop residues using the data obtained from Bouwman and others (2005). The estimated fraction of concentrate feed in total feed dry matter, per animal category, production system and world region is presented in Appendix IV (Supplementary material). A large amount of data has been collected from different sources. A major data source for animal stocks, numbers of animals slaughtered each year, annual production of animal products, and concentrate feed per country is FAOSTAT (FAO 2009). Other important sources that have been used are: Bouwman and others (2005), Seré and Steinfeld (1996), Wint and Robinson (2007), Hendy and others (1995), FAO (2003) and Wheeler and others (1981). Appendix V (Supplementary material) summarizes how specific data have been obtained from these different sources. By combining the feed conversion efficiency—distinguishing between different animals, production systems and countries (Hendy and others 1995)—and the water footprint of the various feed ingredients (Mekonnen and Hoekstra 2011) we estimated the water footprint of different animals and animal products per production systems and per country. The water footprints of animal products vary greatly across countries and production systems. The type of production system is highly relevant for the size, composition and geographic spread of the water footprint of an animal product, because it determines feed conversion efficiency, feed composition and origin of feed. Differences between countries are related to existing country differences in feed conversion efficiencies, but also to the fact that water footprints of feed crops vary across countries as a function of differences in climate and agricultural practice. The Netherlands, for example, shows lower total water footprints for most animal products if compared to the USA. The USA, in turn, generally shows lower total water footprints for animal products than India (Table 1). The smaller water footprint in the Netherlands compared to the USA and India, is due to the fact that animal production in the Netherlands is dominated by the industrial production system, which generally has a smaller total water footprint than grazing and mixed systems. In addition, the water footprint per ton of feed material in the Netherlands is lower than in the two other countries. Due to the specific climate and poor agricultural practices in India, the water footprint per ton of feed in this country is larger than in the Netherlands and the USA. When we look at global averages (Table 1), we see that the water footprint of meat increases from chicken meat (4,300 m3/ton), goat meat (5,500 m3/ton), pig meat (6,000 m3/ton) and sheep meat (10,400 m3/ton) to beef (15,400 m3/ton). The differences can be partly explained from the different feed conversion efficiencies of the animals. Beef production, for example, requires 8 times more feed (in dry matter) per kilogram of meat compared to producing pig meat, and 11 times if compared to the case of chicken meat. This is not the only factor, however, that can explain the differences. Another important factor is the feed composition. Particularly the fraction of concentrate feed in the total feed is important, because concentrate feed generally has a larger water footprint than roughages. Chickens are efficient from a total feed conversion efficiency point of view, but have a large fraction of concentrates in their feed. This fraction is 73% for broiler chickens (global average), whereas it is only 5% for beef cattle. For all farm animal products, except dairy products, the total water footprint per unit of product declines from the grazing to the mixed production system and then again to the industrial production system. The reason is that, when moving from grazing to industrial production systems, feed conversion efficiencies get better (Appendix I — Supplementary Material). Per unit of product, about three to four times more feed is required for grazing systems when compared to industrial systems. More feed implies that more water is needed to produce the feed. The fraction of concentrate feed in the total feed is larger for industrial systems if compared to mixed production systems and larger for mixed systems if compared to grazing systems (Appendix IV — Supplementary Material). The water footprint per kg of concentrate feed is generally larger than for roughages, so that this works to the disadvantage of the total water footprint of animals raised in industrial systems and to the advantage of the total water footprint of animals raised in grazing systems. This effect, however, does not fully compensate for the unfavorable feed conversion efficiencies in grazing systems. In dairy farming, the total water footprint per unit of product is comparable in all three production systems. For dairy products, the water footprint happens to be the smallest when derived from a mixed system and a bit larger but comparable when obtained from a grazing or industrial system. All the above is about comparing the total water footprints of animal products. The picture changes when we focus on the blue and grey water footprint components. With the exception of chicken products, the global average blue and grey water footprints increase from grazing to industrial production systems (Table 1). The larger blue and grey water footprints for products obtained from industrial production systems are caused by the fact that concentrate feed takes a larger share in the total feed in industrial systems when compared to grazing systems. For beef cattle in grazing systems, the global average share of concentrate feed in total feed is 2%, whereas in industrial systems it is 21%. Mixed systems are generally somewhere in between. Although the feed crops that are contained in the concentrate feed are often to a great extent based on green water, there is a blue water footprint component as well, and the larger the consumption of feed crops compared to roughages, the larger the total amount of blue water consumed. This explains the larger blue water footprint per ton of product in industrial production systems for beef, milk, cheese, and pig, sheep and goat meat. The application and leaching of fertilizers and other agro-chemicals in feed crop production results in the fact that the grey water footprint of animal products from industrial systems, where the dependence on feed crops is the greatest, is larger than for grazing systems. Given the fact that freshwater problems generally relate to blue water scarcity and water pollution and to a lesser extent to competition over green water, industrial systems place greater pressure on ground- and surface-water resources than grazing systems, because grazing systems hardly depend on blue water. In the case of chicken products (chicken meat and egg), the industrial production system has, on average, a smaller blue and grey water footprint per ton of product compared to the other two production systems. The reason is that chickens strongly rely on concentrate feed in all production systems, intensive or extensive. Broiler chickens in extensive systems have a share of concentrate feed in total feed of 63%, whereas this is 81% in intensive industrial systems. There is still a difference, but the differences in feed composition for both broiler and layer chickens is smaller if compared to the other animal categories. As a result, the relatively unfavorable feed conversion efficiency in extensive systems is not compensated by a more favorable composition of the feed as is in the other animal categories. The trends in the global averages do not always hold for specific countries. This can be seen from Table 1, which provides country average water footprints for China, India, the Netherlands and the USA as well as global averages. The feed composition varies per production system but also from country to country; as a result, the magnitude of the different components of the water footprint in the different countries varies significantly from the global mean. Cattle in US grazing systems, for example, are also fed relatively large amounts of grains, predominantly maize, which is irrigated and fertilized, which explains the relatively large blue and grey water footprints of US beef from grazing systems. In China and India, cattle in grazing and mixed systems are mainly fed with pasture and crop residues that have no blue and grey water footprints. Beef from industrial systems in China and India, on the contrary, have a relatively large blue and grey water footprint, which can be explained from the fact that the concentrates in Chinese and Indian industrial systems have a relatively large blue and grey water footprint. This shows that systems that belong to the same category, grazing, mixed or industrial, differ in the feed they provide to animals. Often, the feed ingredients in the different countries have different water footprints, resulting in differences in the total green, blue and grey water footprint of the animal products. During the period 1996–2005, the total water footprint for global animal production was 2,422 Gm3/y (87.2% green, 6.2% blue and 6.6% grey water). The largest water footprint for animal production comes from the feed they consume, which accounts for 98% of the total water footprint. Drinking water, service water and feed-mixing water further account the only for 1.1, 0.8 and 0.03% of the total water footprint, respectively. Grazing accounts for the largest share (38%), followed by maize (17%) and fodder crops (8%). The global water footprint of feed production is 2,376 Gm3/y, of which 1,463 Gm3/y refers to crops and the remainder to grazing. The estimate of green plus blue water footprint of animal feed production is consistent with estimates of earlier studies (Table 4). The total water footprint of feed crops amounts to 20% of the water footprint of total crop production in the world, which is 7,404 Gm3/y (Mekonnen and Hoekstra 2011). The globally aggregated blue water footprint of feed crop production is 105 Gm3/y, which is 12% of the blue water footprint of total crop production in the world (Mekonnen and Hoekstra 2011). This means that an estimated 12% of the global consumption of groundwater and surface water for irrigation is for feed, not for food, fibers or other crop products. Globally, the total water footprint of animal production (2,422 Gm3/y) constitutes 29% of the water footprint of total agricultural production (8,363 Gm3/y). The latter was calculated as the sum of the global water footprint of crop production (7,404 Gm3/y, Mekonnen and Hoekstra 2011), the water footprint of grazing (913 Gm3/y, this study) and the direct water footprint of livestock (46 Gm3/y, this study). When we consider the total water footprint per animal category (Table 2), we find that beef cattle have the largest contribution (33%) to the global water footprint of farm animal production, followed by dairy cattle (19%), pigs (19%) and broiler chickens (11%). Mixed production systems account for the largest share (57.4%) in the global water footprint of animal production. Grazing and industrial production systems account for 20.3 and 22.3%, respectively. In the grazing system, over 97% of the water footprint related to feed comes from grazing and fodder crops and the water footprint is dominantly (94%) green. In the mixed and industrial production systems, the green water footprint forms 87 and 82% of the total footprint, respectively. The blue water footprint in the grazing system accounts for 3.6% of the total water footprint and about 33% of this comes from the drinking and service-water use. In the industrial system, the blue water footprint accounts for 8% of the total water footprint. 1 Calculated by multiplying the water footprint of the live animal at the end of its lifetime in m 3 /ton and the average animal weight. 2 Calculated by dividing the average water footprint of the animal at the end of its life time by the average life time. As a general picture we find that animal products have a larger water footprint per ton of product than crop products. As we see from Table 3, the global average water footprint per ton of crop increases from sugar crops (roughly 200 m3/ton) and vegetables (~300 m3/ton) to pulses (~4,000 m3/ton) and nuts (~9,000 m3/ton). For animal products, the water footprint increases from milk (~1,000 m3/ton) and egg (~3,300 m3/ton) to beef (~15,400 m3/ton). Also when viewed from a caloric standpoint, the water footprint of animal products is larger than for crop products. The average water footprint per calorie for beef is 20 times larger than for cereals and starchy roots. When we look at the water requirements for protein, we find that the water footprint per gram of protein for milk, eggs and chicken meat is about 1.5 times larger than for pulses. For beef, the water footprint per gram of protein is 6 times larger than for pulses. In the case of fat, we find that butter has a relatively small water footprint per gram of fat, even lower than for oil crops. All other animal products, however, have larger water footprints per gram of fat when compared to oil crops. The general conclusion is that from a freshwater resource perspective, it is more efficient to obtain calories, protein and fat through crop products than animal products. A note should be made here, however, that types of proteins and fats differ across the different products. Meat-based diets have a larger water footprint compared to a vegetarian diet. We explored the implications of our results by examining the diet within one developed country—the USA—to determine the effect of diet composition on water footprint. Meat contributes 37% towards the food-related water footprint of an average American citizen. Replacing all meat by an equivalent amount of crop products such as pulses and nuts will result in a 30% reduction of the food-related water footprint of the average American citizen. The result of the current study can be compared with results from earlier studies. However, only a few other studies on the water footprint per unit of animal product and the total water footprint of animal production are available. We will first compare our estimates of the water footprints per ton of animal product with two earlier studies and subsequently we will compare the total water footprint related to animal feed production with five earlier studies. The rough estimates made by Pimentel and others (2004) for the water footprints of beef and meat from sheep, pigs and chickens are partly very close to our global estimates but partly also quite different. As Pimentel’s studies did not include the grey water footprint component, we will compare only the green plus blue water footprint from our estimate with that of Pimentel and others (2004). They report a water footprint of chicken meat of 3,500 m3/ton, which is only a bit lower than our global average estimate of 3,858 m3/ton. They report a water footprint of pig meat of 6,000 m3/ton, which is a slightly larger than our global average estimate. For sheep meat, they report a water footprint of 51,000 m3/ton and for beef 43,000 m3/ton, values that are very high when compared to our estimates (10,400 m3/ton for sheep meat and 15,400 m3/ton for beef). We consider the values reported by Pimentel as rough estimates, for which the underlying assumptions have not been spelled out, so that it is difficult to explain differences with our estimates. The study of Chapagain and Hoekstra (2004) is the only publication with global estimates of the water footprint of animal products with specifications by country. The current study gives better estimates due to a refined assessment as explained in the introductory section, so that the previous estimates cannot be used for validation of the estimates from the current study. However, it is worth comparing the results from the two studies to see the differences. At a global level, the estimated water footprints per ton of animal and animal product compare very well with the estimates from Chapagain and Hoekstra (2004), with an r 2 of 0.88 (Figure 1A). The good agreement at the global level between the two studies is probably that the global average water footprints for various feed ingredients are very close in the two studies. The trend line in Figure 1A is slightly above 1, which is caused by our higher estimates for the water footprints of sheep and goat meat. For most other animal products, the current study gives a bit lower estimates than the earlier study. Comparison of average water footprint of A animals and animal products at global level, and B beef, C milk, D pig meat, E chicken meat and F egg at the country level as estimated in the current study and Chapagain and Hoekstra (2004). From the current study we show here the sum of green and blue water footprints, excluding the grey water footprint, because that component was excluded in the 2004 study. When we compare our estimates with Chapagain and Hoekstra (2004) at a country level, more differences are found (Figure 1B–F). The two studies show a relatively good agreement for pig meat, chicken meat and egg—although for egg the earlier study systematically gives higher numbers—but little agreement for beef and dairy products. In general we find that Chapagain and Hoekstra (2004) underestimated the water footprints for African countries and overestimated the water footprints for OECD countries. As already pointed out in the introductory section, there are three main reasons why the estimates from the current study can differ from the 2004-study and are considered more accurate. First, the current study is based on better data for the estimation of the quantity and composition of animal feed. Second, the current study takes into consideration the relative presence of the three production systems per country and accounts for the differences between those systems. Third, we have estimated the water footprints of the various feed ingredients more accurately by using a high-resolution grid-based crop water use model, including the effect of water deficits where they occur, making explicit distinction between the green and blue water footprint components and including the grey water footprint component. As one can see in the overview presented in Table 4, our estimate of the total evaporative water use (green plus blue water footprint) for producing animal feed (2,217 Gm3/y) is 3% larger than the estimate by De Fraiture and others (2007) and 5% smaller than the estimate by Zimmer and Renault (2003). Our estimate of the global consumptive water use for producing feed crops (1,304 Gm3/y) does not significantly differ from the estimate by De Fraiture and others (2007). Our estimate of global consumptive water use for grazing (913 Gm3/y) is 9% larger than the estimate by De Fraiture and others (2007). The differences with three other studies that reported on the consumptive water use related to grazing are much larger, which is caused by another definition applied. Postel and others (1996) estimated the water evaporated from grazing land to be 5,800 Gm3/y. In more recent studies, Rost and others (2008) and Hanasaki and others (2010) estimate the total evapotranspiration from grazing land to be 8,258 and 12,960 Gm3/y, respectively. However, unlike the current study, the estimates in these three studies refer to the total evapotranspiration from grazing lands rather than to the evaporation related to the grass actually consumed. This makes a comparison of our results with theirs unjustified. According to De Fraiture and others (2007), reported ‘grazing lands’ are only partly actually grazed. Besides, the harvest efficiency—the fraction of grass actually consumed by the animal compared to the standing biomass—is quite small. In a recent study in the USA, Smart and others (2010) showed that, depending on the animal stocking density, harvest efficiencies reach between 14 and 38%. 1 The numbers in the table, also the ones from the current study, refer to the green plus blue water footprint. None of the previous studies included the grey water footprint component. There are several uncertainties in this study in the quantification of the water footprint of animals and animal products. Due to a lack of data, many assumptions have to be made. There are a number of uncertainties in the study, but particularly two types of uncertainty may have a major effect on the final output of the study. First, data on animal distribution per production system per country for OECD countries is not available. Wint and Robinson (2007) provide livestock distributions per production system per country for developing countries but not for OECD countries. For these countries we are forced to use the data from Seré and Steinfeld (1996), which provide livestock distribution per economic region. These data have the limitation that they are not country-specific and may lead to errors in distribution of animals into the different production system for some countries. The second major uncertainty is related to the precise composition of feed per animal category per country. Such data are not directly available so that we had to infer these data by combining different data sources and a number of assumptions. Despite the uncertainties in the data used, the order of magnitudes of the figures presented are unlikely to be affected. Similarly, the general findings regarding the overall comparison between different animals and different production systems and the comparison between animal versus crop products is not likely to change with better data. Although the scope of this study is very comprehensive, there are many issues that have been left out. One issue is that we neglected the indirect water footprints of materials used in feed production and animal raising. We expect that this may add at most a few percent to the water footprint estimates found in this study (based on Hoekstra and others 2011). In the grey water footprint estimations we have looked at the water pollution by nitrogen-fertilizers only, excluding the potential pollution by other fertilizer components or by pesticides or other agro-chemicals. Besides, we have not quantified the grey water footprint coming from animal wastes, which is particularly relevant for industrial production systems. Neglecting nitrogen leaching and runoff from manure underestimates the grey water footprint related to animal production. The magnitude of this underestimate can roughly be shown by estimating the grey water footprint related to manure based on the global nitrogen input from manure found in the literature. Global nitrogen input from manure for the year 2000 varies from 17 million tons per year (Liu and others 2010) to 92 million tons per year (Bouwman and others 2011). Based on the relative contribution of manure to the total nitrogen input and the global total nitrogen leaching/runoff, the nitrogen leaching/runoff from manure can be estimated at 6.0–14.5 million tons per year. This amount of nitrogen leached/runoff to the freshwater systems can be translated into a grey water footprint of 600–1,450 Gm3/y. The grey water footprint is more significant in the intensive animal production system, which often generates an amount of waste that cannot be fully recycled on the nearby land. The large amount of waste generated in a concentrated place can seriously affect freshwater systems (FAO 2005; Steinfeld and others 2006; Galloway and others 2007). Finally, by focusing on freshwater appropriation, the study obviously excludes many other relevant issues in farm animal production, such as micro- and macro-cost of production, livelihood of smallholder farmers, animal welfare, public health and environmental issues other than freshwater. In conclusion, we provide a detailed estimate of the water footprint of farm animals and animal products per production system and per country. The results show that the blue and grey water footprints of animal products are the largest for industrial systems (with an exception for chicken products). The water footprint of any animal product is larger than the water footprint of crop products with equivalent nutritional value. Finally, 29% of the total water footprint of the agricultural sector in the world is related to the production of animal products; one-third of the global water footprint of animal production is related to beef cattle. The global meat production has almost doubled in the period 1980–2004 (FAO 2005) and this trend is likely to continue given the projected doubling of meat production in the period 2000–2050 (Steinfeld and others 2006). To meet this rising demand for animal products, the on-going shift from traditional extensive and mixed farming to industrial farming systems is likely to continue. Because of the larger dependence on concentrate feed in industrial systems, this intensification of animal production systems will result in increasing blue and grey water footprints per unit of animal product. The pressure on the global freshwater resources will thus increase both because of the increasing meat consumption and the increasing blue and grey water footprint per unit of meat consumed. Managing the demand for animal products by promoting a dietary shift away from a meat-rich diet will be an inevitable component in the environmental policy of governments. In countries where the consumption of animal products is still quickly rising, one should critically look at how this growing demand can be moderated. On the production side, it would be wise to include freshwater implications in the development of animal farming policies, which means that particularly feed composition, feed water requirements and feed origin need to receive attention. Animal farming puts the lowest pressure on freshwater systems when dominantly based on crop residues, waste and roughages. Policies aimed to influence either the consumption or production side of farm animal products will generally entail various sorts of socio-economic and environmental tradeoffs (Herrero and others 2009; Pelletier and Tyedmers 2010). Therefore, policies aimed at reducing the negative impacts of animal production and consumption should be able to address these potential tradeoffs. Policies should not affect the required increase in food security in less developed countries neither the livelihood of the rural poor should be put in danger through intensification of animal farming. This study provides a rich data source for further studies on the factors that determine how animal products put pressure on the global water resources. The reported incidents of groundwater depletion, rivers running dry and increasing levels of pollution form an indication of the growing water scarcity (Gleick 1993; Postel 2000; UNESCO 2009). As animal production and consumption play an important role in depleting and polluting the world’s scarce freshwater resources, information on the water footprint of animal products will help us understand how we can sustainably use the scarce freshwater resources. Bouwman L, Goldewijk KK, Van Der Hoek KW, Beusen AHW, Van Vuuren DP, Willems J, Rufino MC, Stehfest, E. 2011. Exploring global changes in nitrogen and phosphorus cycles in agriculture induced by livestock production over the 1900- 2050 period. Proceedings of the National Academy of Sciences USA doi: 10.1073/pnas.1012878108. Chapagain AK, Hoekstra AY. 2004. Water footprints of nations. Value of Water Research Report Series No. 16. Available online: [www.waterfootprint.org/Reports/Report16Vol1.pdf]. Delft, the Netherlands: UNESCO-IHE. Chapagain AK, Hoekstra, AY. 2003. Virtual water flows between nations in relation to trade in livestock and livestock products. Value of Water Research Report Series No. 13. Available online: [www.waterfootprint.org/Reports/Report13.pdf]. Delft, the Netherlands: UNESCO-IHE. FAO. 2003. Technical conversion factors for agricultural commodities. Available online: [www.fao.org/fileadmin/templates/ess/documents/methodology/tcf.pdf]. Rome: Food and Agriculture Organization. FAO. 2009. FAOSTAT database. Available online: [http://faostat.fao.org]. Rome: Food and Agriculture Organization. Hendy CRC, Kleih U, Crawshaw R, Phillips M. 1995. Livestock and the environment finding a balance: Interactions between livestock production systems and the environment, Impact domain: concentrate feed demand. Available at: [www.fao.org/wairdocs/lead/x6123e/x6123e00.htm#Contents]. Rome: Food and Agriculture Organization. Zimmer D, Renault D. 2003. Virtual water in food production and global trade: review of methodological issues and preliminary results. In: Hoekstra AY, Ed. Virtual water trade: Proceedings of the International Expert Meeting on Virtual Water Trade. Value of Water Research Report Series No.12, Available at [http://www.waterfootprint.org/Reports/Report12.pdf] Delft, The Netherlands: UNESCO-IHE. p93-109.